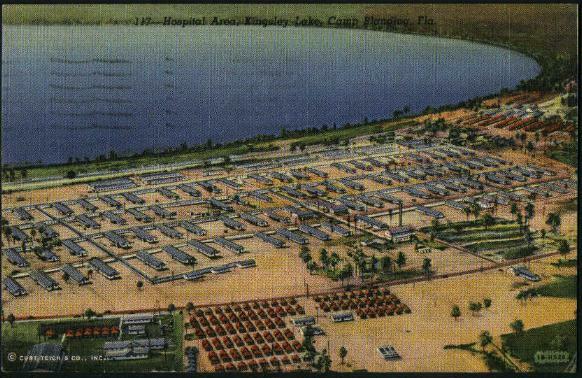 Camp Blanding, FL - The 30th Infantry Division and 508th PIR trained here from 1940 to 1943, and in August 1943 the camp became an IRTC. Camp Croft, SC - Construction began December 1940 and completed May 1941. The first troops began training March 7, 1941. Training at the camp ceased in 1946. 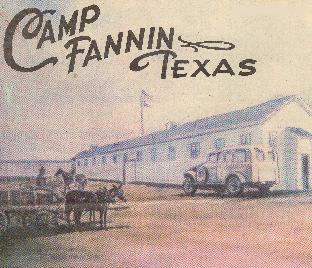 Camp Fannin, TX - Activated September 1943, the camp was created by combining the IRTCs at Camp Robinson and Fort McClellan. The campus of the University of Texas Health Center at Tyler is located on the former grounds of the Station Hospital. 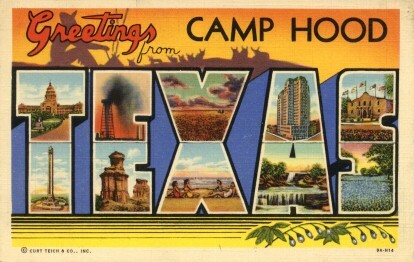 The camp closed January 1946. Camp Hood, TX - Home of the Tank Destroyer RTC since October 1942, the IRTC was activated in March 1944. Renamed Fort Hood in 1950, the post is now the home of the III Armored Corps. 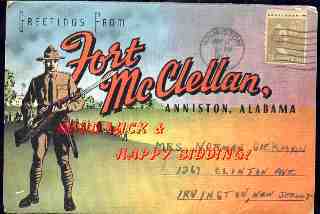 Fort McClellan, AL - Originally a Branch Immaterial RTC which was converted to Infantry in January 1943 and moved to Camp Fannin in September 1943. 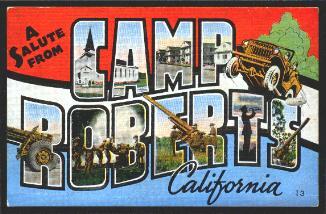 Camp Roberts, CA - One of the original IRTCs. Construction began November 1940 and completed June 1941. The first troops arrived March 15, 1941. The IRTC at the camp closed in 1946 although it continues to operate today as a National Guard training camp. 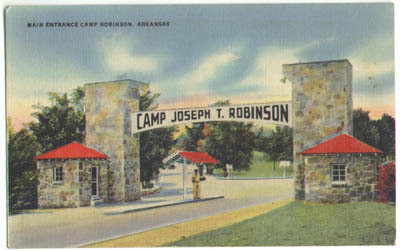 Camp Robinson, AR - Originally home to a Medical and Branch Immaterial RTC, the BIRTC was converted to Infantry in January 1943 and moved to Camp Fannin in September 1943. 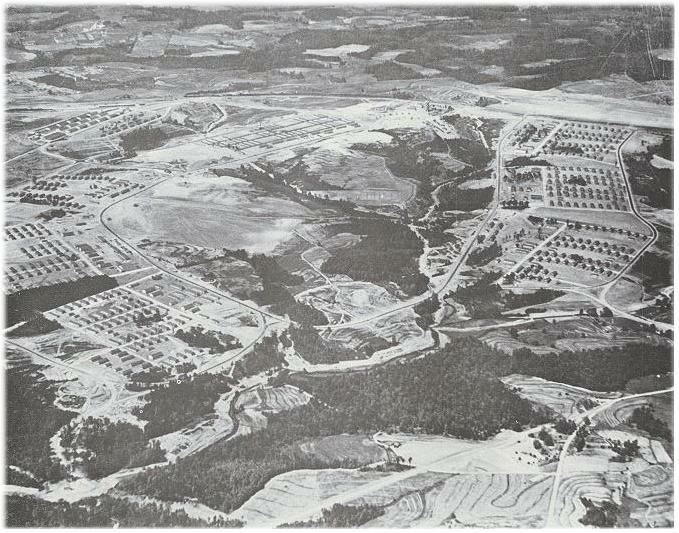 Camp Rucker, AL - Camp Rucker was activated as the training camp of the 81st Infantry "Wildcat" Division and became an IRTC on February 12,1945. The 65,000 acre camp was located in Southeast Alabama near the city of Dothan. 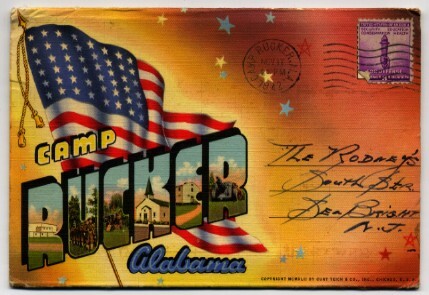 The camp, now known as Fort Rucker, is an active US Army installation. Camp Wolters, TX - The summer training camp of the 56th Brigade, Texas National Guard since 1925, Wolters was one of the first IRTCs and much later, as Fort Wolters became the primary Army Helicopter school before closing in 1975. War-time troop capacity of the 7,500 acre camp peaked at 24,973 men and Audie Murphy went through his basic training at Wolters! The IRTC closed in January 1946.